Government’s promise of small contractors accessing at least 20 percent of all state contracts may be one step closer to fulfillment as the Ministry of Business prepares to roll out a pilot of the project next month. 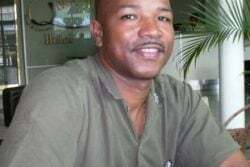 “Next year is the year for the small business programme,” Minister of Business, Dominic Gaskin told Stabroek News recently. 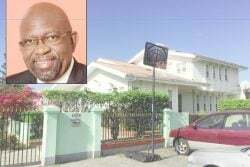 The Ministry of Business, through its Small Business Bureau, is charged with formulating a plan that would see this government initiative implemented. “We are doing it and I am a lot more satisfied now than a year ago, because then we were still waiting for it to be put into action and now that is being done,” Gaskin stated. 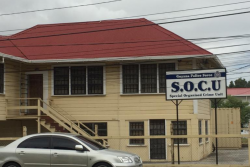 During its first Budget presentation after coming to office in 2015, the APNU+ AFC administration announced its intention to set up a Small Business Development Centre. This centre was expected to research and document preparation needs of the country’s small and medium-sized business enterprises. It was also expected to ease access to the Micro and Small Enterprise Development (MSED) grant facility, which was created by the previous administration under the 2004 Small Business Act, by removing some of the criteria established in order to access the fund. At the beginning of 2016, Minister of State Joseph Harmon met with members of the General Contractors Association of Guyana (GCAG) where he again reiterated his government’s commitment to working closely with the Ministries of Public Infrastructure and Business to ensure that small contractors were awarded 20 per cent of all government contracts as enshrined in the law. “If the country gives out $10 billion in contracts per year, 20 per cent of that should go to small contractors,” Harmon was quoted by the Department of Public Information as saying. Gaskin said that while the programme was launched two years ago it had hit some snags as there was no system or database to evaluate if the intended target was being met. He indicated that his ministry intends to piggyback on the National Procurement and Tender Administration Board (NPTAB) which has a software development system. “We have been in discussions with NPTAB and we are waiting on them to put their system into implementation. That system allows us to measure how many are going to small businesses. We needed a system which easily measures how many small businesses are actually awarded contracts and they have a computerized system that they were implementing. We are finally at a stage in our discussions with NPTAB where we can actually do that,” Gaskin explained. A small registry for small businesses was set up so that all contractors and service providers who are tendering would have to register and state if they are a small business. A verification system will follow up. In conjunction with that system, the software will be able to readily give data so that the Bureau will be able to see during a specific timeframe what the figures on companies gaining contracts are. 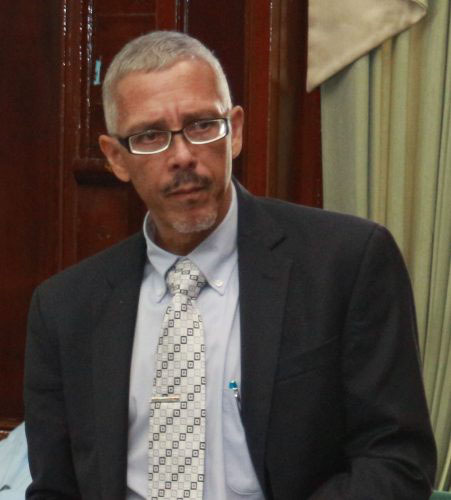 Gaskin said given the 20 percent target, the Bureau will continually assess and intervene where necessary to ensure that the target is met and that small contracts are given all possible legal avenues to make it a reality. As part of giving small businesses a “push start” measures will be implemented for both them and large contractors. “We know we are shooting for 20 percent but we have to figure out how we can intervene in the process in order to give small business an advantage in the bidding process. We are looking at including bonus points for the non-financial component of the small contracts in particular…to get them up on par with the other businesses. We are also looking at giving some bonus points to larger businesses that sub contract small businesses and so on,” Gaskin explained. He also indicated that there will be some contracts set aside where only small contractors would be allowed to bid. “Those are the main ways where we will take corrective action,” he asserted. “We still have to prepare contractors. We can talk about pushing the small businesses to get a bigger share of the action, but unless we prepare them for navigating the procurement process and then compete with the larger contractors it would be futile. We are doing it and I am a lot more satisfied now than a year ago, because then we were still waiting for it to be put into action. Now that is being implemented I am a lot more confident this year we are going to get there. We are approaching it as a programme that is going to be a national programme. Government is very interested in getting the small contractors started up and some are already groomed,” he added. And although full implementation relies on the cooperation of all government agencies and the possible amendments to the law, a pilot of the programme is scheduled to be rolled out by the end of January 2018. “We are almost ready to run a pilot. In terms of the policy paper completion, it may involve some amendment to both the Small Business and Public Procurement Act and that is something we have to look at also. I think we will see some acceleration come January and I think the Bureau is itself better equipped to handle it. “I would say, certainly by the end of the first quarter we should be in a position … to run a pilot and have the policy document and approval by cabinet,” he said. “If there is need for legislative amendments I would say once we get approval from cabinet I think we can fast track the approval of the amended legislation. It doesn’t preclude implementation of some aspects of the programme. We still would need a quarter to do some benchmarking and do some analysis of the data to see what are the kinds of contracts that are actually getting a bigger bite of the cherry than the 20 percent and those can probably be set aside for small businesses,” he added. Gaskin promised that that the data would be publicized as the media covers the weekly tender openings of the NPTAB. Meanwhile, the Ministry of Public Infrastructure is not waiting for the actual implementation of the programme to begin giving small contractors access to contracts. Public Infrastructure minister David Patterson told Stabroek News that recently his ministry received 900 applications during its 2018 prequalification process and is proactive in keeping a promise made to the small contractors. “We have a prequalification that is going on right now as you know we have over 900 applications and persons for 2018. It goes to NPTAB and they grade them and it comes to us…,” he added. He said he doesn’t know how other ministries will meet the desired target but indicated that a plan has been formulated by his ministry. To date about 12% of all MPI contracts go to small contractors, he explained. According to him, small projects which are dealt with at the level of the ministerial tender board are set aside for the small contractors. These contracts, Patterson explained, usually require zero equipment and include projects such as repainting airstrips, constructing foot bridges etc. Asked if he believes that the 20% mark will be met soon, Patterson was optimistic. “Well we are working on it. Obviously we are trying to get it there, but yes [it will]. We are not there yet right but we are over 10 or probably 12 percent. We are not at the twenty percent but I must admit we are working to get to twenty,” he said.